I am a feltmaker, embroiderer and general crafty type living and working in North London. 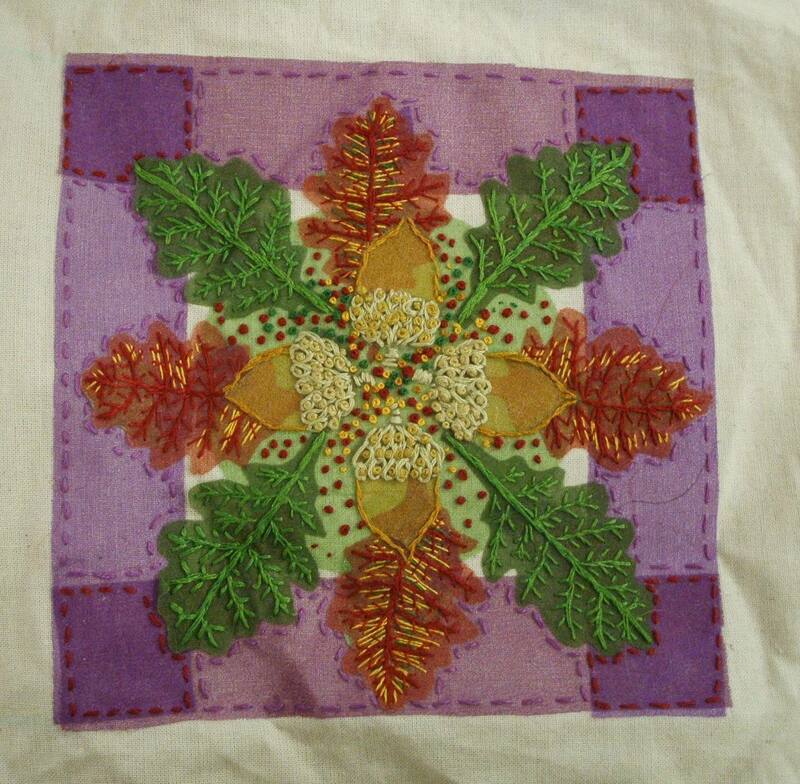 My blog is about textiles, sewing and feltmaking with a little allotment gardening thrown in. 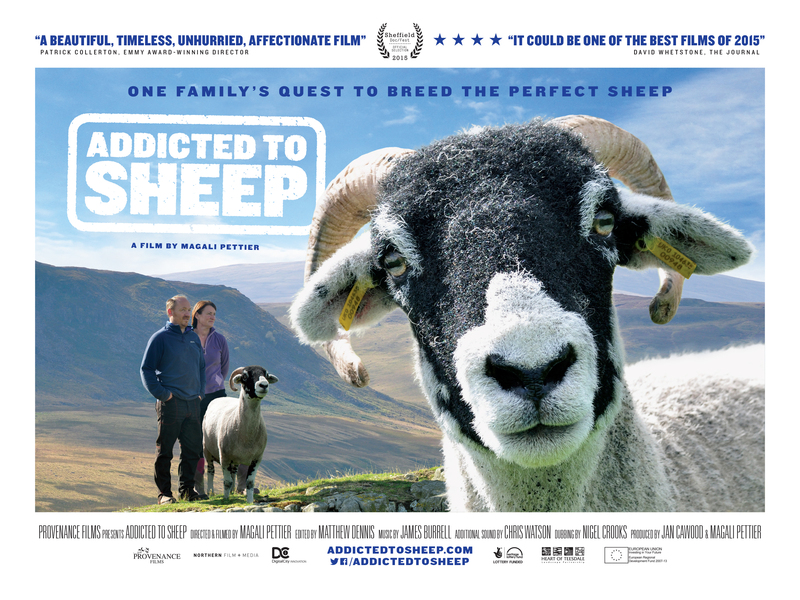 Just a quick note about this wonderful film which I saw at the weekend (along with a Q and A with the Director). Well worth a look if you can catch it. Mark Kermode’s 4 star review is here. 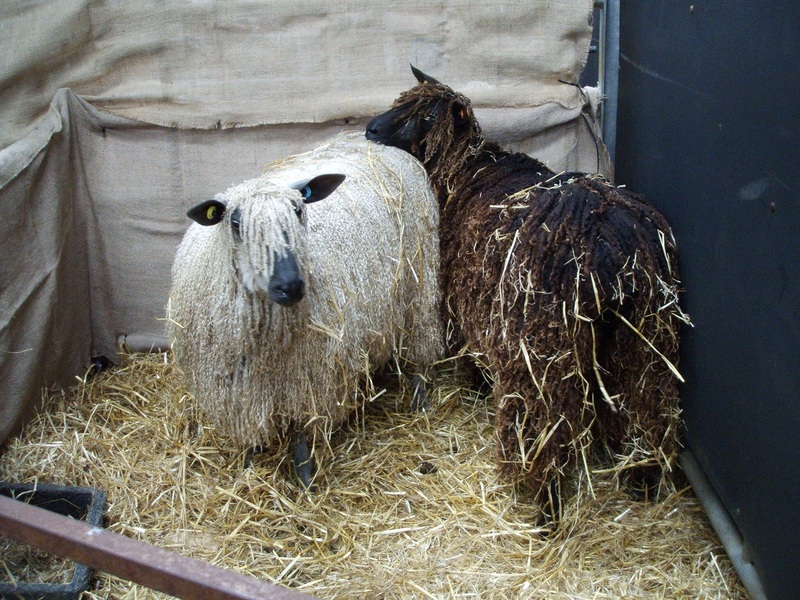 This time last week I was at Woolfest in Cockermouth, Cumbria looking at sheep and all things woolly. I was also spending far too much money on things like naturally dyed embroidery wool from The Mulberry Dyer, knitting patterns (which given my lack of knitting ability is perverse to say the least!) and raw fleece at their fleece sale. I like the fact that I know that my fleece came from Greenlands Farm, Tewitfield, Carnforth Lancs and is Saxon Merino x Saxon Merino x Ouessant ((black). After I bought it another felt maker told me that raw Merino is really difficult to prepare as it is so fine and full of lanolin. It was such a beautiful colour though! So this afternoon I took the sheep between the horns so to speak and having looked up instructions online (as I’ve done it before but only at Wild Rose where Rosie knows what she is doing) had a go with a bucket of hot water, lots of Fairy Liquid and my trusty spinner. It had been well ‘skirted’ but it was full of dirt so I carried the buckets of dirty water down two flights and tipped them away in the street drain just in case, although I had put the fleece in a net bag to protect it and my drains! It is laid out and drying now – and it looks like I have managed not to felt it. I just have a lot of hand carding to do over the next few days. I really must invest in a drum carder sometime soon! 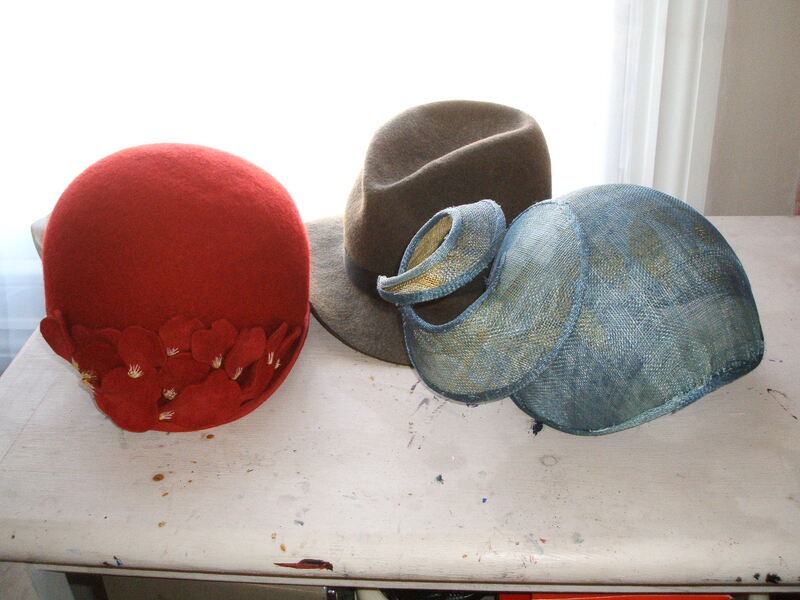 So here are two and a half hats….the poor Scotsman’s trilby is still waiting for petersham and wire to correct its floppy brim, but I did finally finish the first blocked full size felt hat ie the red cloche with embroidered petal decoration, and the sinamay ‘mermaids hat’. I have now started the final term at college – this term it is pattern cutting and fabric hats. We start by making a toile for a skullcap and a butcher boy cap in calico, and then on to making a fabric trilby. I am hoping that I will be allowed to use some thin leather from an old battered leather coat, but I fear that Karen will say it is too much for the sewing machine to cope with. Ah yes! The dreaded sewing machine. I’m not at all sure about this…. * I tip my hat to Stephen Sondheim for the title…. Or should that be Year of the Goat? Apparently the Chinese word means either. Anyway, the description of those born under this sign sounds far more like a sheep to me. 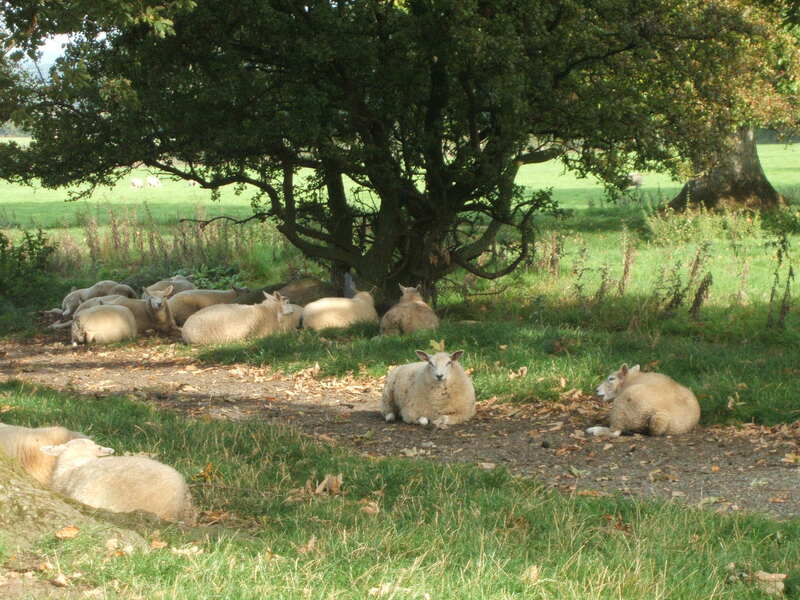 Happy Year of the Sheep…. 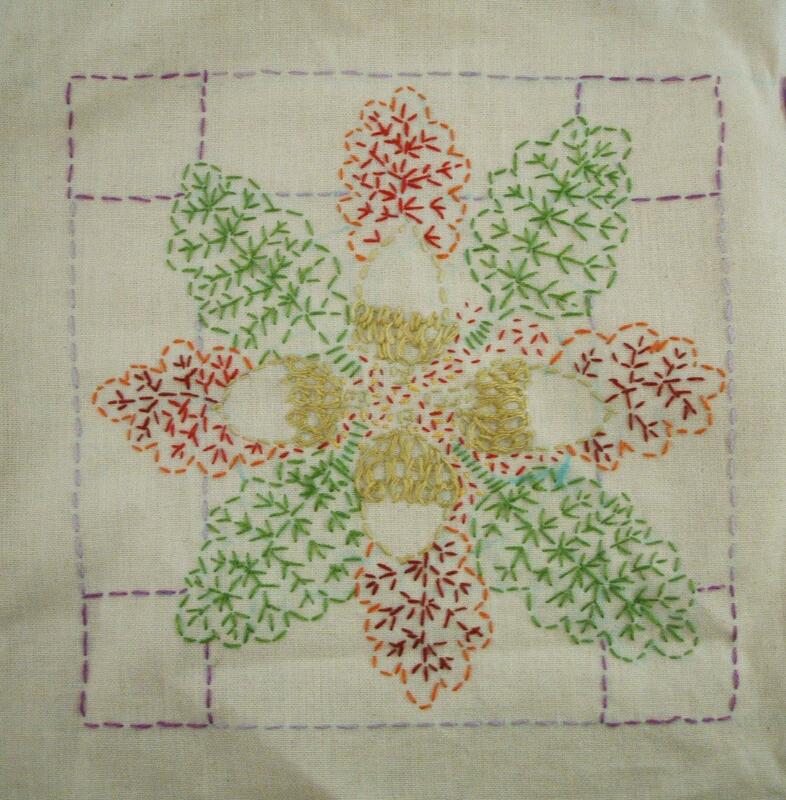 I have just completed my lunchtime embroidery project – something started last October as a project to work on in my lunchbreaks. I did the front cover intending it for a small square sketchbook when it was finished. Once I came to the end of that side I invented a back cover which was a shadow version of the front design in running stitch. I now think I almost prefer the second version. I have been reading about Japanese ways of embelishing, joining and strengthening cloth. Often a practical measure when material is in short supply but often very beautiful in its own right. Now I’m finished and I have to find a new project for my lunch breaks as I miss it already…. I am considering either Pansies or Bees…. watch this space.